Women’s “Shut Up! 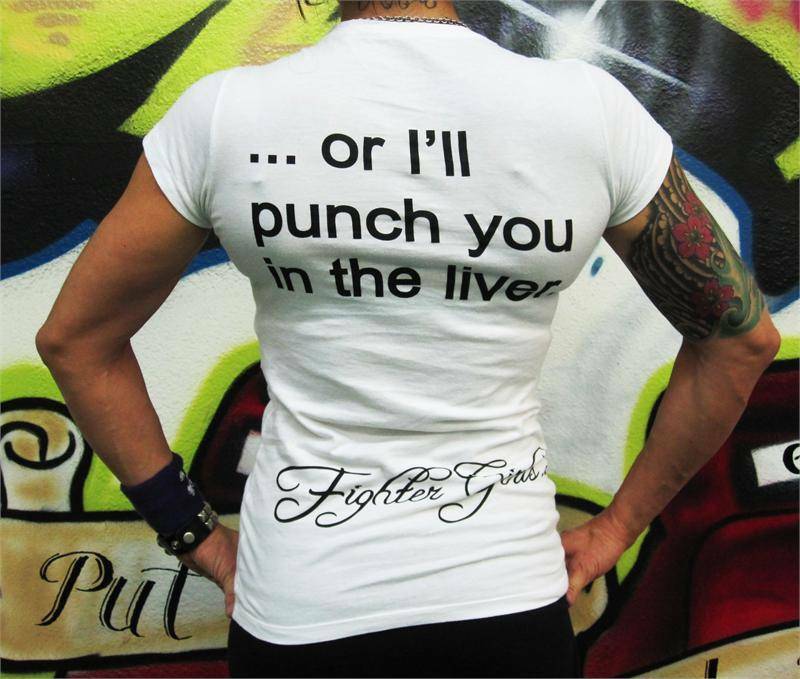 …Or I’ll Punch You in the Liver” white tee by Fighter Girls. Slim cut for a comfortable and cute fit that you’ll love. Made of super soft combed cotton, this t-shirt is all attitude! 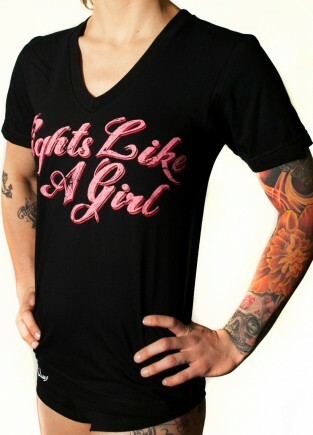 On the front, this shirt shouts, “Shut Up!” with a Fighter Girls bullseye right over the liver. The back of the t-shirt warns …or I’ll punch you in the liver. The perfect tee to show off your quirky sense of humor and fighter’s attitude. This is one of my favorite T-Shirts. Fits my personality! I originally bought this tee in a medium but the fit was very tight and straight throughout the waist and hips. I’m 5′ 4″ 128 lbs (32D – 28 waist – 34 hips) and usually take a medium in other brands. Since I am all the way in Malaysia I opted to order again (one each in white and black) in XL and they fit me better even though the hips area is still rather fitting. 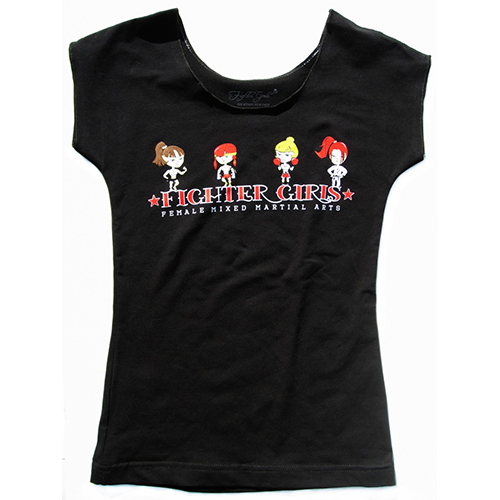 I hope that Fighter Girls can make more but with better fitting tees. No complaints on the design – it’s fab! Female funny shirt this shut up or I'll punch you in the liver t shirt is cute, funny and tough made for females both women and girls who want to show that they are a fighter girl! 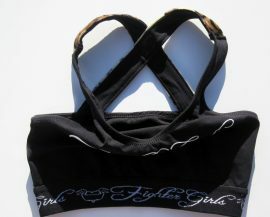 Great for martial arts, Krav Maga, Body Combat! this t shirt will be a hit no matter where you wear it people will love it! 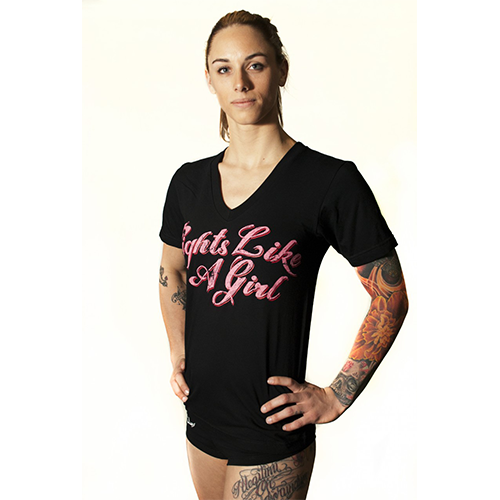 Ladies take this shirt to your next training class or just wear it out to your favorite hang out. People will think this shirt is wonderful and cute! Made from Debi Purcell phrase shut up or I'll punch you in the liver! Most of the time she was joking but trust me the t shirt warned you about how tough she is! You can also be tough and funny. If you want attention and people to notice you this shirt will do that in a good way! This shirt comes in 3 different colors white, black, army green! Super cute and comfortable! 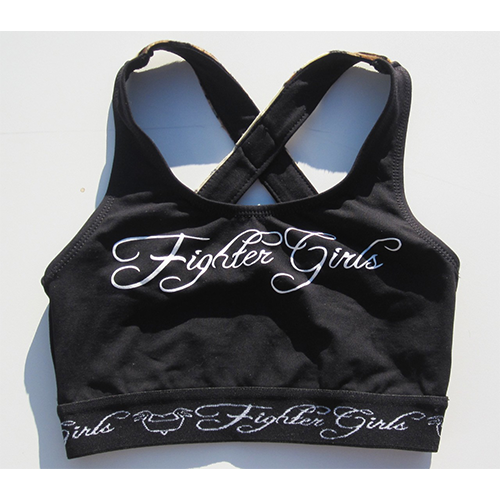 Made with the Fighter girls quality! 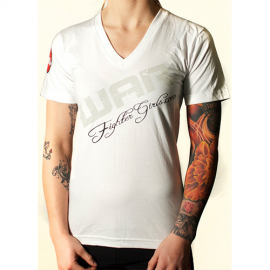 Come shop the biggest and best selection of martial arts and body combat clothing and gear made for females both women and girls!